Respiratory problems can be the result of a poor diet, bad posture, lack of exercise or even deep emotional trauma. But most commonly, they occur at the crux of the seasons, when cold turns to hot, or dry becomes humid and vice-versa, we well as when pollution levels are high. The respiratory system carries prana (life force) and oxygen to the lungs. As such, it is one of the body’s most important systems. It is therefore key that any issues relating to it are addressed. As ever, it is always best not simply to treat the symptoms but to seek out the cause and address that. 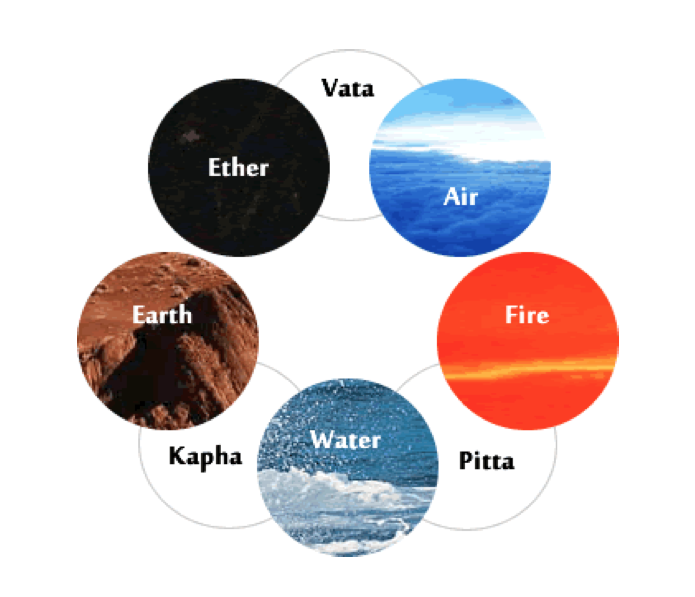 Individuals who identify with the kapha dosha, or who are kapha-dominant, can be the most susceptible to the kind of imbalances that result in respiratory issues. These usually surface in the form of excess mucus, which is produced in the stomach and accumulates in the lungs. This depository of mucus can cause colds, congestion, coughing, phlegm, swelling and water retention or stagnation in the respiratory tract of kaphas. Those with vata or pitta doshas are not immune to respiratory issues, but their symptoms will usually present themselves as asthmatic (vata) or infectious (pitta). The excess mucus that the body produces when its dosha is out of balance is usually indicative of low agni, or digestive fire. It is therefore important to stoke that digestive fire. The most obvious way to do this is through diet. As would be expected, a sluggish digestive fire does not need heavy, dense foods. These weigh the system down, so it’s best to avoid foods such as meat, cheese and anything fatty or fried. Eliminating dairy can also be beneficial. Fire your digestive system up by adding warming spices to your meals – ginger, cloves, cardamom and black pepper are particularly good options, and sip hot water with lemon and honey throughout the day. Consider the time of day you are eating and try and start and end it with lighter meals, making lunch the largest meal of the day. It goes without saying that eating and drinking to excess will be detrimental to regaining balance in your dosha. Diet is not the only thing that can fire up you digestive system. An active lifestyle can work wonders, particularly for those with a more sluggish kapha dosha. Warming the body through sport can help to liquefy any accumulated mucus, bringing it back into the digestive tract where it is more easily eliminated. Exercise also usually involves an increase your breathing rate – cardio is particularly beneficial – and this gets your lungs going and will improve their functionality. To speed the process along and to aid recovery, there are some specific Ayuervedic supplements that help with clearing the lungs of mucus. Nasya oil is often used to lubricate the nasal passages to ease breathing when there is congestion. Consider using a neti pot to help remove mucus and any pollutants from these passages and to cleanse and refresh them. Many of these healing means focus on the body. But it’s also worth thinking about the mind. Meditation is an excellent way to practice mindfulness. As it involves regulating breathing patterns, it can be beneficial to those suffering from respiratory problems, too. Extend your meditation into a yogic practice where you link breath with motion; this will help nourish your lungs. Yoga can also improve flexibility in the areas that surround the lungs, allowing them more space to do their job, while yogic breathing revitalizes prana in the body to support them. Making yoga, meditation or some form of exercise a regular part of your daily routine and looking after your diet are not only beneficial to healthy lung function but can bring many other benefits to body and mind. They not only help to stave off the imbalances that result in respiratory problems, but will help to maintain balance in the body and serve as a preventative measure for a wealth of other health issues. Meditation should not be a chore, it is an art of being. The minute you let your mind 'be' it settles down to its most ideal rhythm. Go to a quiet place and disengage. Try and experience that joy. We are losing that in the 21st Century. Solutions to most mental health issues can use meditation, however not ALL. Most of today's mental health issues are caused by too much 'doing', something known in Ayurveda as AtiYogam. Step back and just be, it is very healing. Stress is the 21st Century killer. We've lost this, everything is 'go go go'. We have to look within us, the entire universe is within us. We should become one with the inside and thus become one with the outside. Turning the senses inwards will delve into healing. Once you start looking within, you'll find a resource, a higher self, a soul, an all pervading being. All the answers are within you; chew on this. STRESS in Ayurveda in the Astanga Samgraham AD3, states that it is exposure to stimulus physically, mentally, environmentally, beyond the body, mind threshold causes disturbances in the functional principles of the body (vata, pitta, kapha) and the mind (tamas and rajas). This manifests as Physiological and Psychological disturbances. It is not surprising that harmony is being disturbed causing disease in our modern lifestyles. Excessive living is something that we can collectively resolve. Ayurveda and Yoga and can aid these manifestations of diseases. From childhood we are trained to engage in excesses. Children are victims to our stresses. Physical stress, Verbal Stress and Mental Stress are categories of stress according to Ayurveda. These are foundations in Rajas and Tamas. Rajas deals with V and P and affects body/mind channels, manifests as anxiety and other symptoms. Tamas deals with Kapha and also affects mind body channels and manifests as depression and other symptoms. All are caused by a weak mind. Thus meditation is medication. Being lonely is a problem when it comes to mental wellness. You could be surrounded by people and yet be lonely. It has nothing to do with solitude. This is why self love or love of self is an important practise in Ayurveda and Yoga. In Patanjali's surtras he states "by the practise of the 8 limbs of Yoga the impurities dwindle away and there downs the light of wisdom, leading to discriminative discernment." This is why mind over matter can work, but also from body to mind can also work. For yoga classes please contact me on 95040288.